Grum Sends in Some Pics from Colorado - - - 3 messages. Showing 1 through 3. Looks like you had a great time, eh? 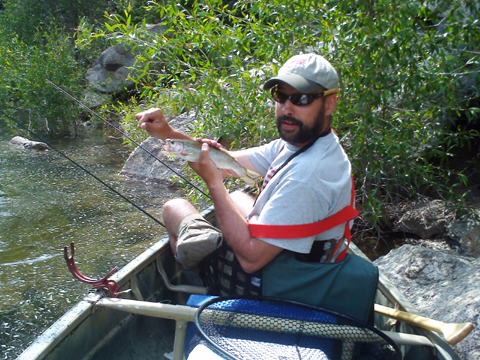 Thanks WebDude, It was a trip of a lifetime for me, a friend of mine from back in high school moved out to Denver about 10 years ago, He kept telling me how great the fishing was out there and that I should come out. Years went by as we never seemed to have time off at the same time, until last summer. 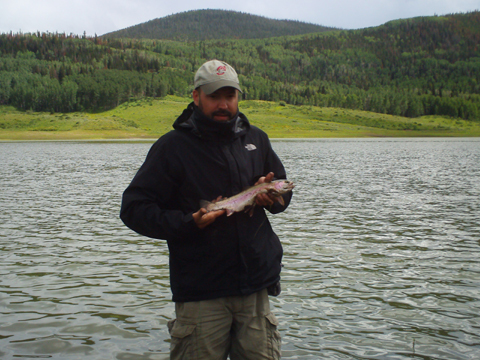 We fished many reservoirs within an hours drive of Denver. Amazing how fast you can go from a downtown urban area to seemingly complete wilderness. We fished for pike, bass, walleye and of course trout. We even saw several Huge muskies swimming around in the crystal clear water, but no luck with them, still very cool to see. I still think the walleye fishing is better here, at least thats what I kept teasing him about, lol. 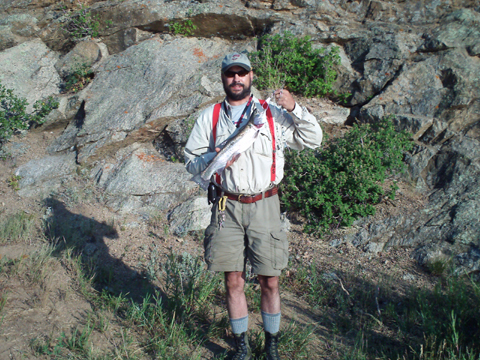 But if your looking for trout, its unbelieveable out there. The DNR out there does a great job of stocking trout in just about every puddle around. If you ever get the chance to go, I highly recommend it!